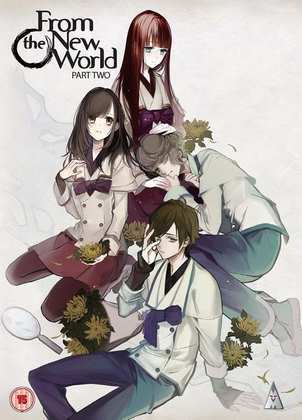 Two anime reviews for you last week, beginning with From the New World: Part 2. Suddenly it seems that we are reaping the riches of a glut of sci-fi anime, after a dry period that lasted a little too long for my liking. From the New World really went down the hard sci-fi route with its first part, establishing a fantastic premise, and laying about the groundwork of its future world. This second half of the series is where the story unfolds, and it proves to deliver a twist worthy of the hardest sci-fi, the kind of twist that you’d get at the end of the best episodes of the Outer Limits. The show isn’t quite perfect though. Click the review to read more. Then it was my turn to take a look at Hayao Miyazaki’s final feature film, The Wind Rises, after David Simpson reviewed it a few weeks ago. The Wind Rises is Miyazaki’s most personal film to date, reputedly a labour of love for him, and it turns out to be his most controversial too. After all, it’s a fictional biopic of Jiro Horikoshi, the man who designed the Zero fighter. With that in mind, it becomes even more astounding that The Wind Rises got nominated for a US Academy Award. But in the end, the most controversial thing about The Wind Rises is its refusal to court controversy. Read more in the review. From the New World: Part 2 was released on DVD on the 15th of September, while its Blu-ray counterpart has been pushed back to the 27th of October. 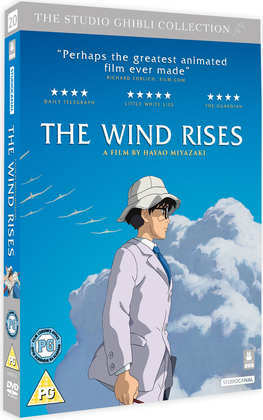 The Wind Rises comes out on DVD, Blu-ray DVD doubleplay, and Blu-ray DVD Collector’s Edition today.